Demeyere offers a wide and varied assortment across a number of series. Explore the Atlantis, John Pawson, Apollo, Industry and Resto ranges, each with its own design, characteristics and specific functionality. 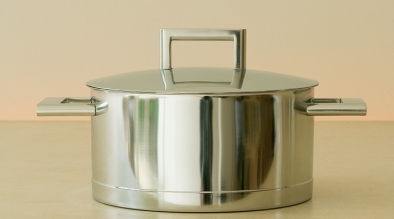 John Pawson designer cookware is the perfect match of form and function and boasts an eye-catching streamlined design. The Atlantis range is synonymous with pure beauty and tradition. 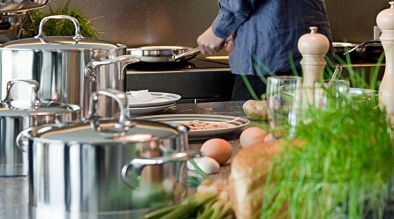 You can count on many years of pleasurable cooking with this wide range of pots and pans. 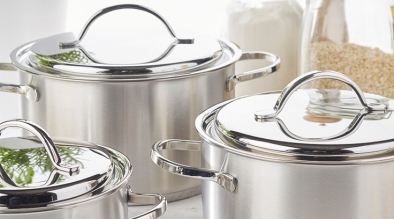 Apollo stands for timeless and reliable cookware. 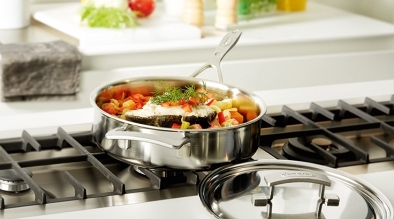 An extensive choice makes Apollo the ideal collection for both the professional chef and the discerning home cook. The Industry series is designed by Belgian designer Stefan Schöning. This robust, solid, "American style" cookware with an "industrial" look is guaranteed to last a lifetime of pleasurable cooking. 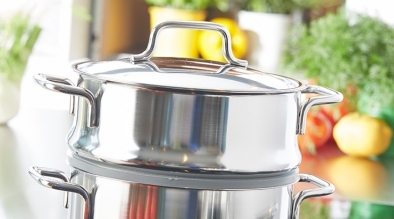 The "Resto by Demeyere" cookware range includes budget-friendly products that undoubtedly are the most efficient and user-friendly within their category.